A is for Alfie! 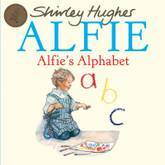 Let Alfie take you all the way from A to Z in this alphabet of Alfie's world. You can learn how B is for Bedtime and how P is for park and puddles. It's as easy as A, B, C with Alfie! Lucy and Tom know a lot of words: they have Books read to them at Bedtime. They know that D is for Dog, like the dogs that live on their street, F is for Friends, and P is for Park and for Playing. 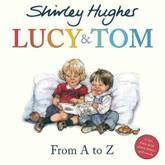 Join Lucy and Tom on a journey through their life, in this satisfying alphabet tale from a master storyteller. 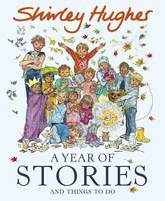 Meet Alfie and Annie Rose, Mum and Dad, Chessie the cat, the MacNallys down the road, and many many more, in this wonderful collection of 10 best-loved Alfie stories by Shirley Hughes. 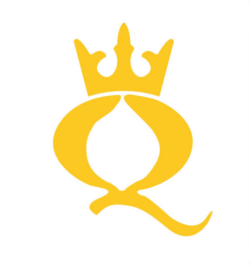 Read by Roger Allam and Roy Mcmillan. 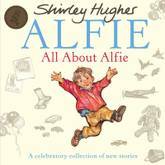 Includes: Alfie Gets in First, Alfie's Feet, An Evening at Alfie's, Alfie Gives a Hand, Alfie and the Big Boys, Alfie Wins a Prize, All About Alfie, Alfie's Christmas, Alfie Outdoors and Alfie and the Birthday Surprise. 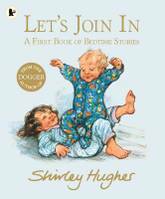 Four classic stories perfect for sharing at bedtime, by Kate Greenaway winning author, Shirley Hughes. 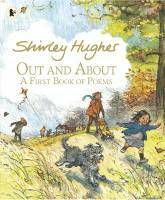 This charming collection of four classic stories by much-loved illustrator Shirley Hughes, is perfect for sharing at the end of a busy day. Chatting with friends or talking on the phone, hiding in the house or the garden, bouncing on the sofa or on Grandpa's knee, giving a present or a kiss: there are so many things you can join in with during the day! 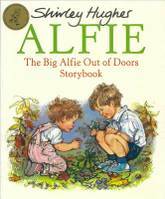 Alfie loves Nursery School - and so does Annie Rose! 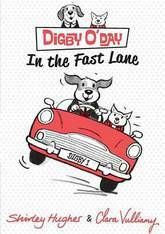 She can't wait to go there with him - in fact she's so desperate to join in that she gets Alfie into a very sticky situation in this collection of nursery school tales. 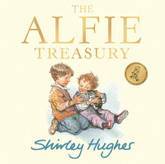 Join Alfie as he navigates playground games and special concerts in this heartwarming book from Shirley Hughes, creator of Dogger. 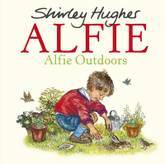 Alfie loves being outside and in this gorgeous collection of stories and poems he plays in the garden, camps in the countryside, shares a picnic on the beach, splashes in the paddling pool and lots more! Full of snapshots of family life, this is a book to treasure. 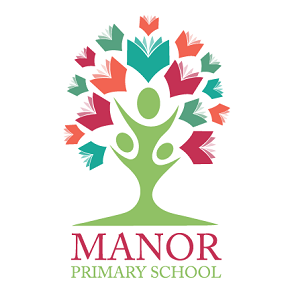 Mr Cinders was a dressmaker and ran a shop in town. After his wife died, he was left to bring up their daughter, Ella, on his own. 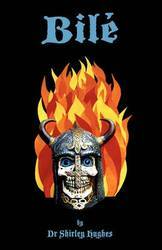 They lived happily until Mr Cinders married again. Poor Ella was treated horribly by her stepmother and two bullying stepsisters, but found solace in her friend, Buttons. Then one day, everyone except Ella is invited to a grand ball given by the Duchess of Arc for her handsome son. But on this very special evening there is more than a little magic in the air . . . 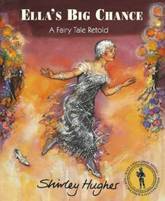 This outstanding re-telling of Cinderella is set in the 1920s and the paintings feature Shirley's own costume designs, inspired by the great French couturiers of the period. When Dave loses his favourite toy, Dogger, he is very sad. 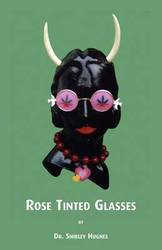 But when Dogger turns up on a stall at the garden fete, everything seems all right - until someone else buys him before Dave can get the money! 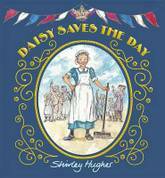 Voted the public's favourite CILIP Kate Greenaway Medal winner in 2007, this timeless picture book has lost none of its appeal and is still a tale to which all children and their parents can relate. 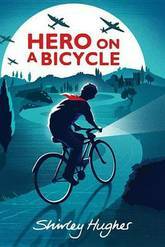 Kevin Whately's reading brings the story to life, and the original music and sound effects will enchant and enhance this book for a new generation of children. 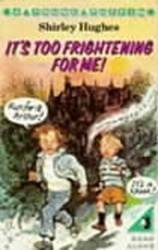 The adventures begin when Alfie locks his mum out of the house, racing to get home first! Then explore the world of new welly boots, perfect for splashing in puddles and learning about left and right.  There are birthday parties and birthday surprises to be found in these pages, as well as babysitters and big boys, burst pipes, beloved pets and brilliant prizes. 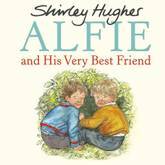 Alfie solves the important mysteries of pre-schoolers' lives as he takes on shyness, sisters and the brave new world of Big School. 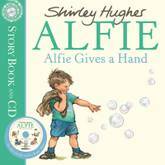 Every child should know Alfie, and this book makes the perfect gift for an Alfie fan or newcomer. 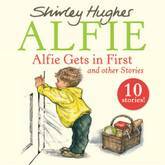 Includes: Alfie Gets in First , Alfie's Feet , Alfie Gives a Hand , An Evening at Alfie's , Alfie and the Birthday Surprise , Alfie Wins a Prize , and Alfie and the Big Boys . It's Christmas for Alfie, and what a celebration this beautiful gift is! 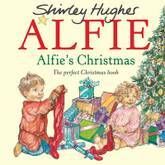 Join Alfie and Annie Rose for Christmas! Alfie opens his advent calendar and makes cards and presents. He sings carols and decorates the tree. And he writes a special letter to Father Christmas. But what will Father Christmas bring on Christmas Day? It's going to be such an exciting day! Alfie has been charming children and parents for generations, but this is his very first Christmas! 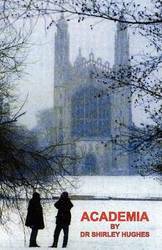 The perfect gift, covering every Christmas milestone. 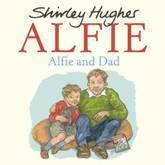 Join Alfie and Dad as they spend time together in this wonderful collection of stories from the award-winning Shirley Hughes. Alfie's dad is always there for Alfie and Annie Rose. He's there to reassure Alfie during a restless night; he's there to find Alfie's favourite toy Flumbo when he gets left on the bus; and most of all he loves spending time with his children and they love spending time with him! Celebrating that special relationship between children and their dads. 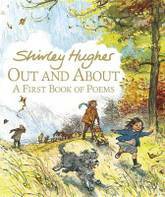 A classic picture book about family life, set in post-war London, from the best-loved and award-winning Shirley Hughes now available in paperback. 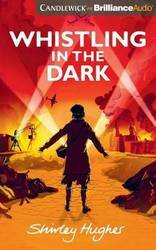 The observation and draughtsmanship are Hughes in her prime, with scenes of street parties and bustling stations and perfectly rendered period costume The Sunday Times Ruby and Mum have lived through the terrifying London Blitz and are waiting for Dad to come home from the war. 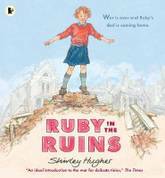 Ruby hardly recognizes the tall man who steps off the train, but when she falls in the ruins nearby, there's only one person who she wants to rescue her. Alfie and Bernard are very best friends and together they have lots of adventures. 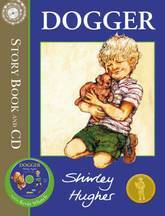 Join them as they go to the library, take part in scooter races and make a very special club with only two special members!A heart-warming tale of friendship by the award-winning Shirley Hughes, creator of Dogger.